Here you will learn how to tell if your printer prints CDs and DVDs, this is the most professional way to know. It is possible to have a printer at home which we can print directly from CDs, DVDs and Blu-ray Disc ™, it is possible not to know how to do it, or believe that the printer has this option but it does not do it, for this we have developed this publication we would help you to identify whether your printer can do this or not. The first thing to do in our printer is to check whether this has a tray with this appearance, a printer can only print CDs, DVDs, and Blu-ray Disc ™ if it has a tray for it. Usually this is in the upper tray to print normal documents; in addition this one uses a plate that serves to place where it will be printed. Another simple way to identify if the printer that we have can print CDs, DVDs and Blu-ray Disc ™ is reading the documentation supplied to us by the manufacturer, with all information related to the printer among it, it includes what jobs our printer can do. In the printer plastic may have stretched the image that indicates that it is suitable for this work, even, there is a universal symbol for it this is called "Direct CD-DVD Printing" and has the following image. Normally Epson printers bring a particular representation in the boxes where the printer comes that indicates this, see the symbol. As always we advised to verify information provided by the manufacturer in the printer manual, since most printers that can print CD have short time warranty even most of them have a guarantee of no more than about 5,000 prints CDs and DVDs, thereafter we lose the warranty period completely. 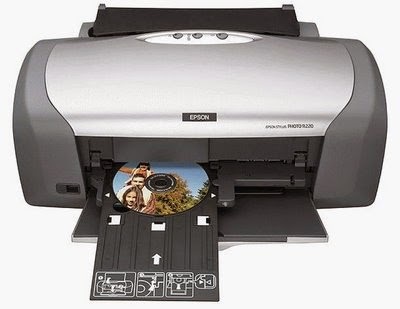 The most commercial Manufacturers of this type of printers are Epson and Canon. It does not mean that there are no other brands that make printers of this type even with better quality; these are the only manufacturers who make printers for home or office use and at the same time with this feature.